By Friday, I often find my pantry and refrigerator down to some greens, rice, and eggs. I remembered reading an article on Korean barbeque and specifically the dish, Bibimbap. One of the most iconic dishes of Korea, bibimbap, is a bowl of sticky rice topped with vegetables, meat or seafood and a fried egg. Here I have reserved the marinade usually used for grilling the meat or seafood for seasonal greens, added in some fresh raw vegetables, and topped it all with a fried egg. 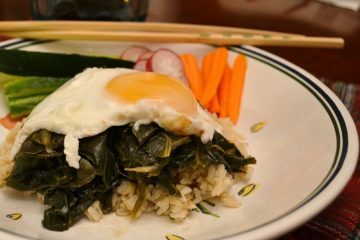 My kids had fun stirring the egg into the greens and rice, and eating with chopsticks! Serve with sautéed brussels sprouts, whole grain rolls. 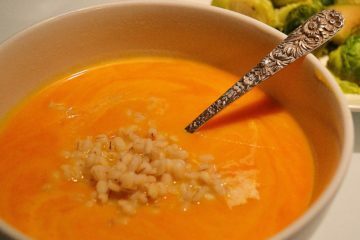 I am new to experimenting with winter squash soups. I had this mental barrier that they took too long to make and/or would be cumbersome to prepare. Imagine my surprise when I put together this highly nutritious, warming meal together in under 45 minutes. I am now a squash soup convert! My youngest is a tofu-a-holic and second only to miso soup, this is one of her favorite ways to eat the protein-packed bean curds. I love it because it comes together fast and other than making a pot of rice, all the ingredients are prepared in one skillet. This is my adaptation of a popular Cooking Light recipe, substituting regular mushrooms for shiitake but for a more authentic Asian verison, try the shiitake or even oyster mushrooms. Many root vegetables are a great substitute for potatoes. They are perfect for making hash, a breakfast dish of leftover potatoes, meats and other vegetables prepared in a skillet. 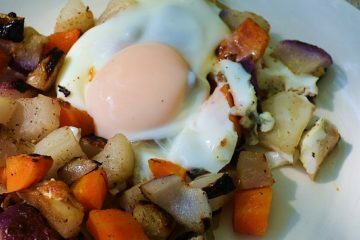 Turnips, casrrots, rutsbagas, or parsnips provide a lighter hash which is easy to prepare on a lazy Sunday morning. I like to whip up this balanced carb and protein breakfast when my CSA provides an abundance of these root vegetables. I usually leave out the meat and top the crispy hash with an egg or two, served with a side of Chulula hot sauce, Picka Pepper sauce, or Shirachi sauce. 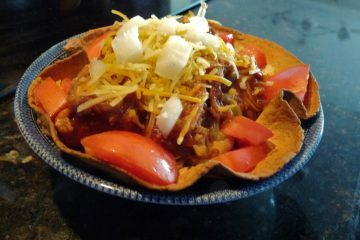 I adapted this south-central Mexican specialty from a pork-based slow cooker recipe to a quick vegetarian version. While I have made the original version (and it is quite tasty! 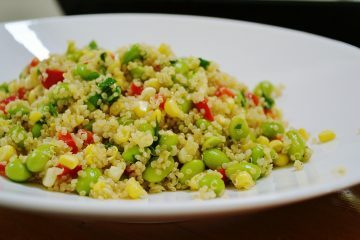 ), I find the beans-only version light, refreshing, and crave-worthy. 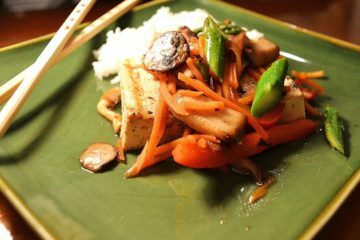 It is well suited for an appetite adjusting to warmer days and our bodies needing light fare. This is one of my family’s staples during the warmer months of the year. My kids especially like the build-it-yourself component of this meal, allowing for customization to one’s own taste (and as we know is sometimes the key with kids!). When I was exploring eating raw foods for the first time over a decade ago Ani Pho’s recipes were so inspirational. 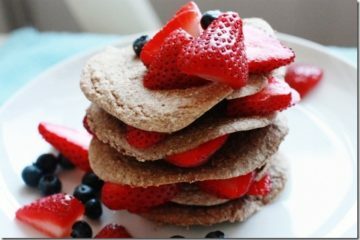 This is one of my favorite breakfast and snack meals that I have modified slightly. 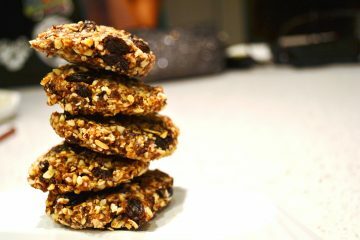 New to raw or needing a new recipe to add to your existing repertoire? This is the must-have one! 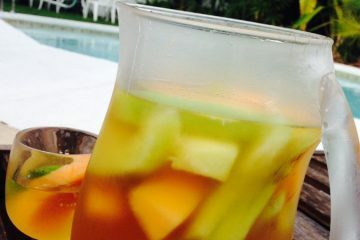 A recipe from Better Homes and Gardens inspired me to tweak a summer favorite, Sangria, to feature white wine and antioxidant-rich green tea. It’s light, refreshing and the perfect entertaining go-to drink of the summer. I created this soup for my good friend and astrologer, Karen Q., for her astrology event where she wanted a fun, dreamy food pairing inspiring imagination and dreaming. 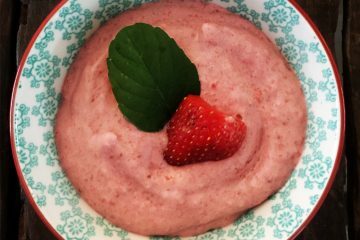 This simple, chilled, sweet treat unexpectedly in the form of a soup surely fit the criteria but just make it in the spring or summer when fresh strawberries are in season as this soup highlights this favorite berry’s beautiful color and sweetness we all love. It’s truly refreshing and delightful!